When optimum air quality is required, the correct filtration system must be in place. 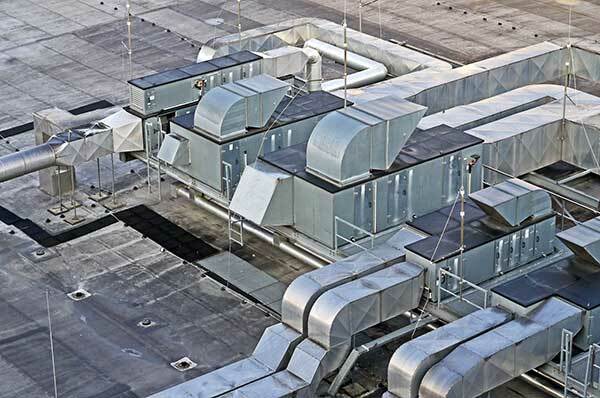 Protecting HVAC components from the build-up of contaminants, such as dust particles and hazardous substances, is critical in many applications. Filtration systems are a vital component of HVAC systems. They are used mainly for the purpose of safeguarding HVAC components against the build-up of contaminants. A variety of filtration equipment can be integrated into the HVAC system to ensure efficient running of equipment, and minimise the risk of component breakdown which could lead to increased downtime and high maintenance costs. Filterserve understand the importance of having reliable filters incorporated into HVAC system designs. We can help you to ensure that your HVAC equipment and working environments meet legal obligations, providing a clean and safe work space. Multipocket and rigid style filters supply and recirculate air in ventilation systems. Able to work under difficult conditions, these filters hold great dust-holding capacity allowing for lower operating costs and longer service life of HVAC system components. Fancoil filters provide a coarse surface to capture dust particles to avoid build-up of contaminants heat exchanger coils. They also provide protection for higher grade filters further along the HVAC system. Mechanical extraction systems in the form of Local Exhaust Ventilation (LEV) systems to remove harmful contaminants from work spaces where such particles can be detrimental to the safety of employees. LEV systems are the perfect solution to ensure compliance with Control of Substances Hazardous to Health Regulations. Filterserve have been supplying unrivalled quality filters for over 45 years. Our team of highly skilled engineers have an extensive amount of filtration knowledge and experience of the HVAC industry, qualifying them to offer the best advice and provide filtration solutions to meet your exact needs. Give us a call today to start your journey with Filterserve.